After my ordination to the priesthood in April 2013, I was assigned as the assistant parish priest of the St. Roch parish in Grosse-Roche. Grosse-Roche is a vast village that stretches through the majestically high mountains of the Commune of Vallieres, in the North-East of Haiti. It is only traversed by one very rocky road, connecting it to the neighboring towns. The poor geographic situation of this village makes access to those neighboring towns difficult; it takes about 2.5 hours to drive to the nearest town, located some 23 miles away. The majority of the people here depend on traditional farming for their survival and live in dire poverty. My missionary journey in this most remote and isolated area of Haiti is full of enriching experiences worth remembering. One of the experiences that have made me feel most happy and useful as a missionary is my involvement in the pastoral ministry to the sick. Roughly two months after my arrival in Grosse-Roche, a young lady called Pierre Joceline came to me after the morning Mass. She had a grievous expression and asked me to please come visit and pray with her neighbor, Mr. Antenor Tello, who had been bedridden for several months. We gathered a small team to carry out this visit: myself, the sacristan, and two other devoted parishioners. 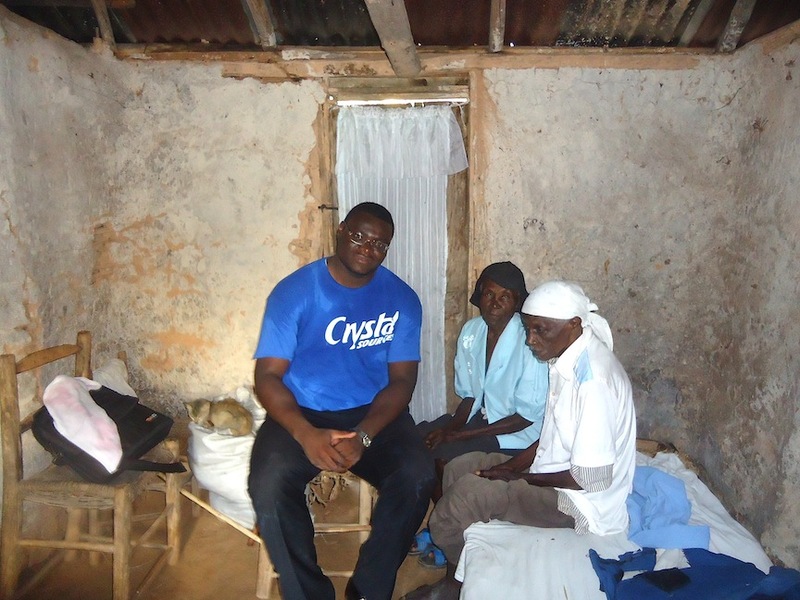 Two days later, the team went to visit Mr. Tello at his home in Champin, a small village on the periphery of Grosse-Roche. The walk up and down the mountains took us about an hour. Mr. Tello is a 77-year-old man, with his wife, Mrs. Lama Bertrice, being of roughly the same age. God blessed them with eight children: six girls and two boys. All the girls are married and have their own families in Cap-Haitian, the capital of the northern department of Haiti. Their two boys went over to the Dominican Republic in search of greener pastures. Mr. Tello was the family’s only breadwinner. He was a strong and courageous man who used to work the farm day in and day out to respond to the needs of his family. But now he is blind, and one side of his body was paralyzed by a stroke. His wife, who used to go farming with him, is the only one taking care of him each day. The elderly couple essentially lives alone and abandoned. Their children do come by once in a while to visit them, bringing some goods to help soothe their hunger. Yet, despite their pains, suffering and isolation, Mr. Tello and his wife are strong because they feel God standing by their sides. Mr. Tello whispered to me one day when we finished praying with them and were about to head back home. He said, “Thank you God because you have come to visit us. Though we feel weak and abandoned you have come to us and brought us courage, strength, and joy. 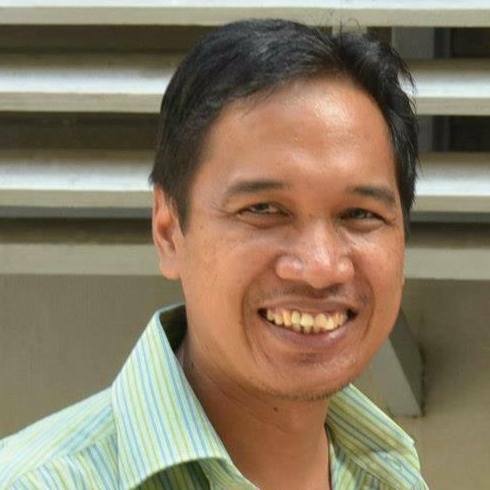 You are the only one we desire in life now.” That expression encapsulates why Mr. Tello and his wife need visits and prayers: why anyone who is sick or isolated or suffering needs visitation and prayer. It is to affirm God’s presence and continued love and care for them. 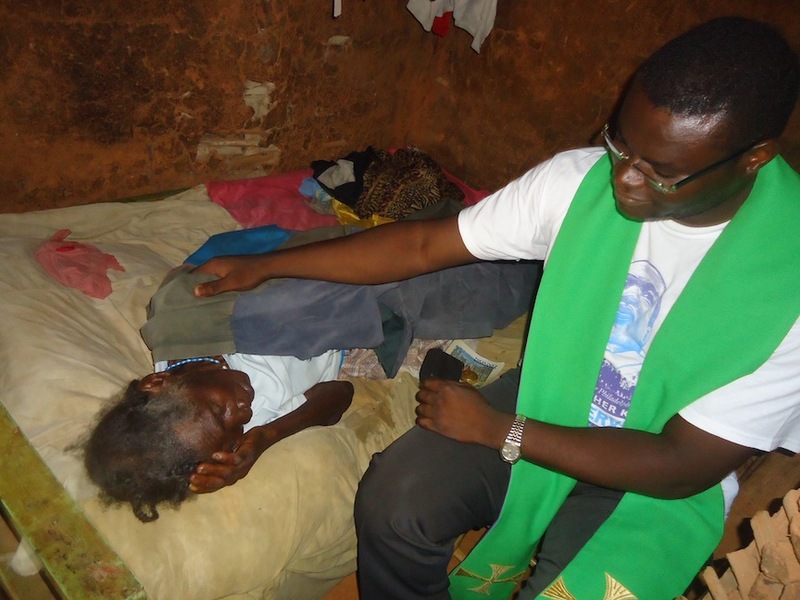 That first experience intensified in me the zeal for our pastoral ministry to the sick. 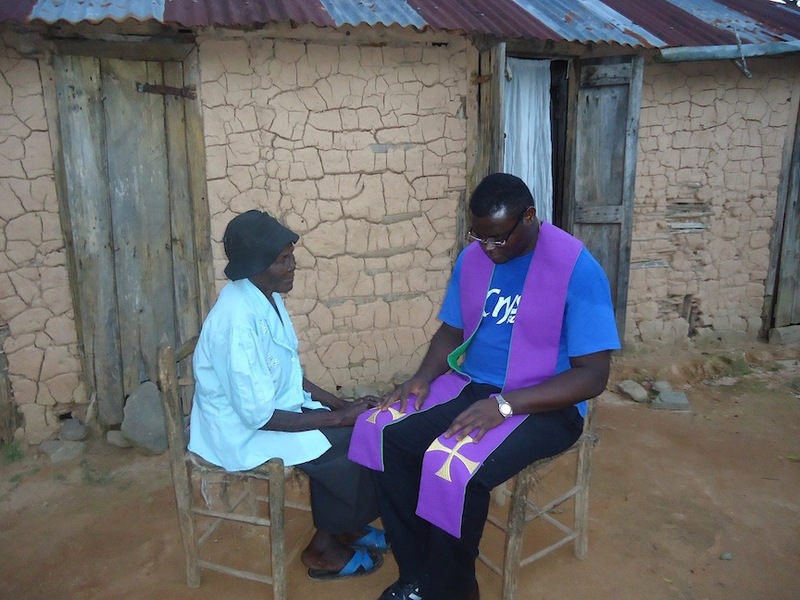 To visit and pray with people who can no longer join the community because of health problems is at times challenging, but incredibly important and rewarding. Because they live in different areas, we have grouped our parishioners into five regions, and we do our best to visit each one monthly. Each region has up to five sick persons to visit, with quite a range of infirmity among them. There is a beautiful yet under-equipped dispensary in Grosse-Roche that was built in order to provide medical care to the sick people. It is staffed by just three nurses, though, and the care they are able to provide is very limited. The people we visit are typically those who have not found improvement after being treated in the dispensary, and who simply cannot find or afford any further treatment. They have no other choice than to stay at home and wait for their day to come. When we arrive at the homes we visit, we start by listening to our parishioners' stories. We want to get acquainted with the problems they face and the pains they endure. After carefully listening to them, we share our own experiences and encourage as best we can with comforting words that offer hope. Then we gather together for prayer, some songs, the liturgy of the Word of God, and the Eucharist. At times, I also offer the Sacrament of Reconciliation for those who have been unable to receive it for some time. As we conclude our visit, we always share some small but necessary goods, and then we embrace them before saying goodbye and returning home. By sharing in their struggles, aspirations and beliefs, we are brought closer to the people we serve. The pastoral ministry to the sick is of utmost relevance for our missionary presence in Grosse-Roche. In Haitian culture, sickness is not always understood as a failure or dysfunction of some organs of the body but is rather often associated with supernatural causes. Thus, when a person gets sick, he or she naturally seeks healing from a traditional healer. The faithful, however, seek comfort, strength, healing, joy and peace in God through prayer, because they trust that God is more powerful than the traditional healers. We have witnessed how accompanying them in their homes and personally sharing our faith relieves them and brings them hope and joy. Our ministry allows them to tangibly feel that God stands by their side through a community of believers, sharing their burdens with them. We delight in becoming a channel of God’s loving and merciful presence to our suffering brothers and sisters. Our pastoral team is passionate about carrying on this mission. In so doing, we bear witness to the Gospel that we preach and fulfill the promises that our poorest and weakest most need to have kept. We could not do it without the generosity of our compassionate benefactors who contribute to the missions; thank you for supporting this essential mission outreach. This story was originally published in Missionhurst Magazine. For the complete article, along with many others, check out our most recent edition of Missionhurst Magazine. 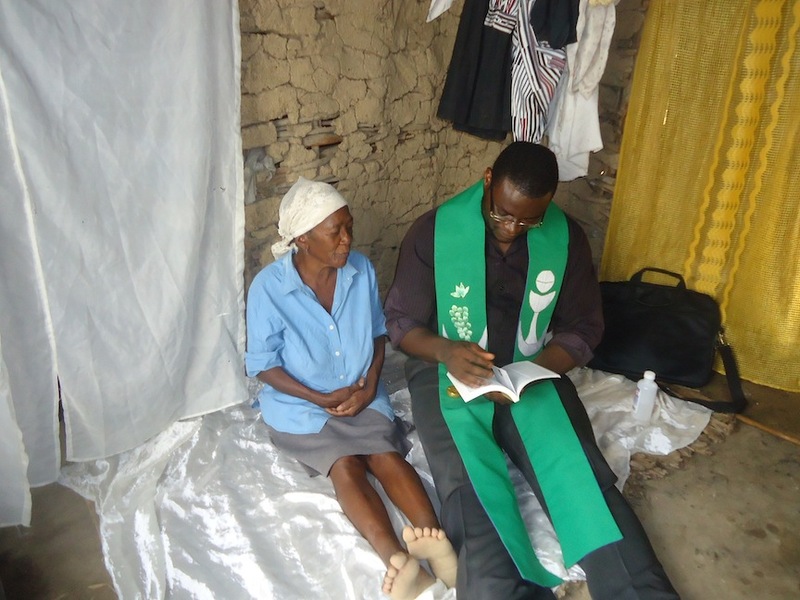 Your spiritual and financial support allows us to minister to those in need. Want to learn more about how you can help?